Twitter today announced support for iTunes music previews and native Instagram (one of my favourite apps) support. The latter was among five new companies where you can access embedded media right within twitter. 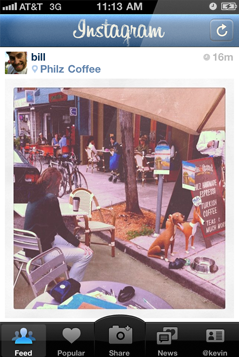 Instagram: View mobile photos, personalized with Instagramâ€™s colorful filters. Rdio: When a subscriber Tweets out a song, you can listen to full-length songs right inside the details pane,Â for the first time ever. Dipdive: See photos, videos and new works from Dipdive’s community of artists. I love Instagram. You need to download it!